The fully motorised and automated IX83 is the most advanced member of the IX3 series of imaging systems for life science researchers. You can choose from the one-deck system with ergonomic low stage height or the two-deck system with additional expansion capabilities. 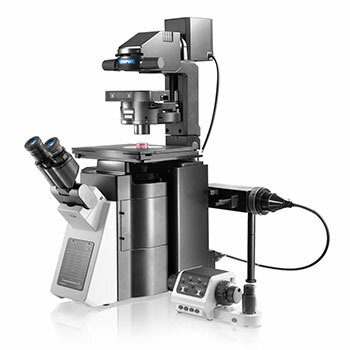 Both provide the ability to perform a multitude of imaging techniques, from long term time-lapse imaging and other demanding techniques to routine testing and documentation. Users can adjust the components and controls to best suit their workflow.